I had the wonderful chance to again see Worshipful Master Jesse Williams at the Actual Past Masters' degree in Saint Paul. 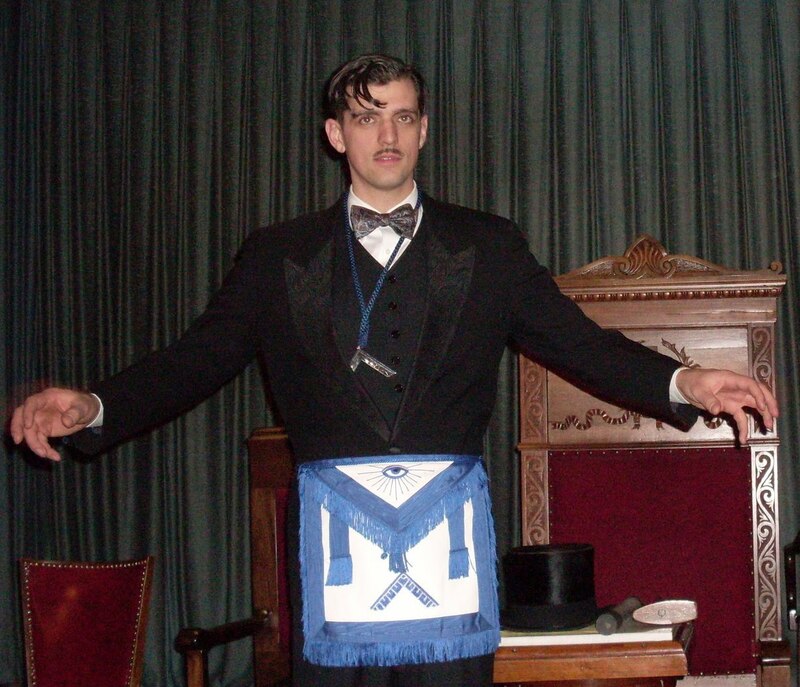 Worshipful Master Jesse is the current sitting Master of Braden Lodge No. 168 in Saint Paul. If you have never been to Braden, you need to go. They are one of the most active lodges in the state of Minnesota with an intelligent, guiding light in this brother. At the Actual Past Masters' degree, we chatted about how I was getting back into blogging and he offered his speech from the Lodge's officer installation as content to put on the website. He will explain in the audio more completely but he will be attending the Humphrey Institute at the University of Minnesota; the Humphrey Institute is a top ranked public policy school in the United States. This particular piece explores the social structure of Freemasonry with special focus on the duties of the officers of the Lodge within the social structure. The Worshipful Master would like to extend an open invitation for brothers to visit 1st and 3rd Thursdays, opening ritual begins at 7:30 and non masons to visit 2nd, 4th and 5th Thursdays from 7:30 and later. Also, there will be more content from the brothers of Braden on this site as well. Thank you Worshipful Master for this wonderful piece on Masonry. That was a great night. It should be a fun year!